(FoundingFather1776 Notes: If you are a new reader, or if you have accidentally stumbled across this blog, you might assume that because we publish the articles below, this blog is somehow “anti-semitic” – your assumption would be greatly mistaken. We deal in the TRUTH here. There are no sacred cows. Trying to deny that the most powerful Jewish family in the world; the Rothschilds, have an inordinate control on international finance and intertwined themselves with British aristocracy is as ludicrous as denying that the Klu Klux Klan has white members! Did you know that Simon Cowell, the acerbic judge on American Idol, is half-Jewish? This is confirmed by British social critic Hilaire Belloc who described the British Empire as a partnership between Jewish finance and the British aristocracy. The marriage of Jewish finance and British aristocracy took place literally. Spendthrift gentry married the daughters of rich Jews. L.G. Pine needn’t worry about the “forces of revolution” since they were created by Jewish finance to concentrate power and wealth in their own hands. This will find its apogee in the New World Order. 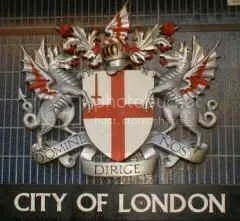 The “Jewish Conspiracy” may indeed be the British Empire, and the “Jews” may in fact be the Masonic British aristocracy who regard themselves as Jews, and often are. 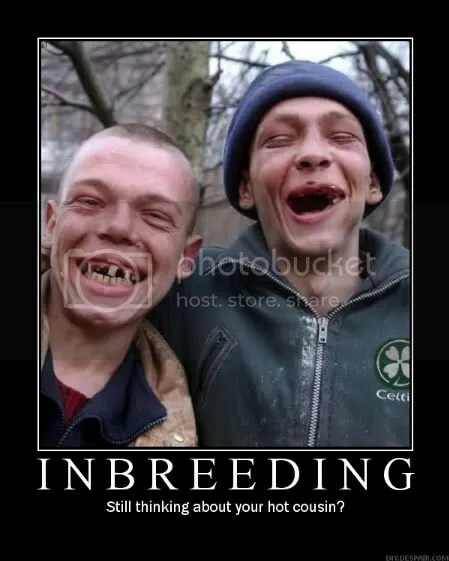 They consider themselves one of the lost tribes of Israel, the real “Chosen People.” The word “Brit” apparently derives from the Hebrew for “pact” or “covenant” ( i.e. the Jewish Covenant with God.) Members of the British royal family are circumcised by a Jewish mohel. All I can say is, the Tribe is not what I thought! When we left off, we were exploring the proposition that the New World Order is the British Empire repackaged, and this empire was literally a marriage of effete British aristocracy and virile (or virulent) Jewish finance. 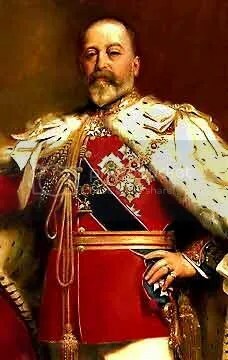 (King Edward VII: Evil Demiurge of the Triple Entente & WW1. )Tarpley is equally forthright in stating that “Edward VII, far more than any other single human being, was the author of the First World War…the most destructive single event in the history of Western civilization” which opened the door to Communism, Fascism, the Great Depression and World War Two. Tarpley falls into the trap of establishment historians by attributing great events to single personalities. These personalities are invariably puppets of the people who pay their bills. Tarpley goes into some detail about how King Edward and his Foreign Secretary Sir Edward Grey, the son of Edward’s horse master, engineered World War One. Essentially, they deceived Germany into believing that England would remain neutral. To prevent the war, all they had to do was clarify this point. Germany would have backed down and reined in Austria. “England’s” animosity against Germany was part of an agenda to use a catastrophic war to undermine Western civilization, and advance the Judeo-Masonic New World Order. Three empires disappeared in that inferno while Communism and Zionism rose like the phoenix. The decadent British aristocracy is totally complicit in the cabalistic bankers’ plan to degrade and enslave mankind. Who are these “aristocrats?” In an essay, “Breeding Concubines,” Greg Hallett makes some astonishing, some might say ridiculous, claims. I present them here without judgment, to be proven or discredited as evidence emerges. Edward VII was the mentally deficient product of the marriage between Queen Victoria and her first cousin Albert. He was the oldest male of her nine children. He married in 1863 and had five legitimate children between 1864 and 1869. His eldest son, Clarence, was mentally deranged and the prime suspect in the Jack the Ripper murders. Edward VII routinely and openly cheated on his wife. He had dozens of mistresses, some as young as age 14. One of these was the Jewish-born Lady Randolph Jennie Jerome Churchill. Hallett believes Edward VII was Winston Churchill’s real father. These claims seem far fetched yet it is plain to see that something is wrong with the Royals. It is widely acknowledged that Edward VII was dissolute. If Hallet’s claim that “the British Royal family are a subset of the Rothschild family and are utilized as part of the Rothschild business as a money-making venture to create war,” it would explain King Edward VII’s role in starting World War One. 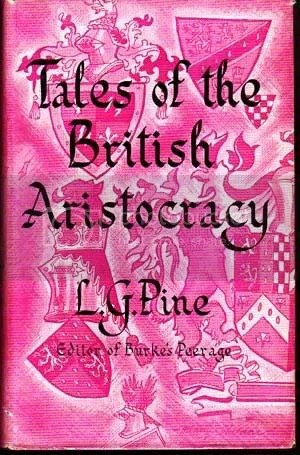 The reports of homosexuality, drugs, pederasty, promiscuity, occultism in the history of the British aristocracy are consistent with what we know about the Illuminati. They are depraved yet somehow able to subvert mankind without serious resistance. What a tawdry tale is modern history! Instead of grasping greatness within reach, the human race is paralyzed by the morbid spell of a Satanic cult, the Cabalist (Illuminati) bankers. This entry was posted on June 10, 2009 at 12:48 am and is filed under Illuminati, Inbred Elites, Rothschilds. You can follow any responses to this entry through the RSS 2.0 feed. You can leave a response, or trackback from your own site. it was clear here today, except for a few fake clouds in the East. What a rare day. Do you really believe the net will make a difference and will bring about a change? I am sorta pessimistic about it. Because by the time enough sheeple wake up.. how sick, are we going to be from those chemtrails.. or maybe dead? It has an effect on the bronchies for sure, and who knows what else?! Myself have a daughter, who lives in Nashville.. who does not believe in chemtrails and calls me a fanatic and ordered me to never ever say that dirty word ” Chemtrails’ again ! This actually has been and is a detrement to our relationship.. can anyone believe this? It’s true. does anyone know, what’s up with this in Nashville? She sais.. there’s nothing there. @FF, you are doing a lot of research, I did too and read about this some time ago. There are many other stories about them, some real creepy, and I am not sure, all of them are true. This though I do know, the US never ceased to be their colony. 4th of July always brings this to mind, it’s nothing but a joke. They own us, lock stock and barrel. Now.. what to do about it ? Emmigrate, ok, to where ? “they” are everywhere.. even in the poverty stricken countries. I know that few will take my words seriously, but two years ago or less, most astute folks never took the threat of a NWO seriously either. Any day now the next step will be for more and more important world figures admitting that UFOs are from other worlds. (Some are our back engineered craft, however). You must get use to the fact that we are a Third World world. It looks like the visitors have mandated we clean up our act, militarily, politically, and environomentally or…. To be sure, we in the West don’t like the sound of any of it because it will be making us poorer: businesess, governments and people. So there is an agenda, an alien agenda and our leaders and governments don’t like it anymore than you do. But as I said, it seems obvious from all of mult-iareas and frenzied activity of change that the orders have come down from on high. Literally, who on Earth would want a strong carbon tax? Answer, Not any government, not any business, and a very small minority of the people. The answer lays elsewhere. The coming of the aliens is not going to be like anything we have imaged. It is going to start–it HAS started–with quick corrections to the way we use and abuse our home. The ramifications from that single area alone will be enough to make or break us. And don’t misunderstand, it will be totally our choice in how we respond as to what will be the consequences. I have no faith that we will behave as the human beings we think ourselves to be. hi all, when are the british and american people going to wake up to the fact that its zionists who are running the countries to their greed agenda. this is rubbish. why do people think that jews around the world are secretly plotting and interbreeding with different royal families. you have issues in your own lives and you use other religions as a scape goat for you own problems. i am a christian but i dont hate Jews, why would i. i think this must be an ‘anti Jew’ racist cult movement web site. If it is, get a life and grow up. You do realize the author of that article, Dr. Henry Makow is Jewish right? Are you also arguing with the documentation provided by “Burke’s Peerage” about who has married who? Nobody here “hates Jews” – you need to be able to read and understand complex ideas, instead of resorting to knee-jerk and cliched indignance. Why not check out http://www.henrymakow.com or read some of the MANY articles on this blog that pull together bits of the puzzle to show you what the “New World Order” is and what they have planned for you. Or sit back and cast ignorant and incorrect aspersions on articles you have not seemed to read much less understood, and claim the moral high ground as a Christian. That should solve everything. “Rascist cult movement web site” hah hah ha…… You did give me a chuckle. neal macnally you need to wake up before its to late. They contain loads of important information, also about the Illegitimacy of the Current British Monarchy. I have a dilema on my hands; I read from Genesis the Tribes were from a patriarchal system. I read the “Jews” have adopted the “matriarchal” system. I understand the Brithish “Royal” have lineage to David, Jacob, Isaac and Abraham viz a Patriarchal genealogy. It is my understanding Judah George Windsor alias; KING GEORGE THE SIXTH gave the Promised Land in order to create the “Jewish” state in 1948 during the 4 Blood Moon Tetrads falling on Passover and Sukkoth.